"Only about one-third of Americans are living within their means and think they are prepared for the long-term financial future. One-third are living within their means but are often not prepared for this long-term future. And one-third are struggling to live within their means." That's the upshot of a new report from the Consumer Federation of America, which this week reported that 63 percent of Americans say they're making somewhere between "fair" and "no" progress in building up their savings. This number isn't surprising. Times are tough, with some experts putting America's "real" unemployment rate -- the number of people unemployed while seeking work, plus those unemployed because they've given up looking -- at nearly twice the official unemployment rate, or 11.1 percent. What makes the 63 percent figure so significant, though, is that according to the consumer advocacy group, most Americans are "doing everything right" to secure their financial futures. 64 percent of respondents polled in the federation's survey say they "have sufficient emergency savings to pay for unexpected expenses like car repairs or a doctor visit." 68 percent say they are spending less than they earn, and saving the difference. 76 percent say they are either completely free of consumer (i.e., not mortgage or education loan) debt, or at least working to pay their debt down. 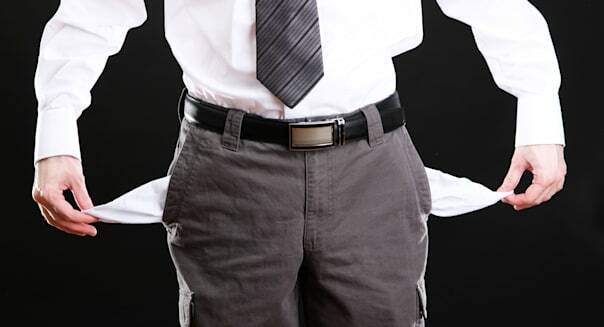 Through working, saving and paying down debt, a slim majority of Americans -- 51 percent -- say they now have enough money piled up in "emergency savings" to pay off their entire credit card debt, should that prove necessary. A further 17 percent say they have no debt at all. Yet, despite doing all the right things financially, it's not all good news. For one thing, having only enough cash to pay off your debts only gets you to a net worth of zero -- which probably isn't what you want to have when heading into retirement. For another thing, those same 17 percent who say they have no debt also have no savings, according to a separate study of family finances from Bankrate.com(RATE). And the finances of many more Americans remain in an even more perilous state -- 28 percent of Americans do have credit card debt, and in fact, have more debt than money they have socked away in savings. And hard as Americans are working to improve their finances, progress is hard to come by. %VIRTUAL-article-sponsoredlinks%In Bankrate's study, it turns out that the number of respondents saying they are "more comfortable" with their debt load, and are seeing improvement in their "overall financial situation" over the past year are equally matched by the number of people saying they are "less comfortable" with their debt and feel "worse" about their financial situation. In fact, 24 percent of those polled swung either way on these questions -- while about half of people polled say they're basically stuck in neutral over the past year. How do you feel about the state of your finances? Are you feeling more comfortable or less comfortable than you did one year ago -- or about the same? Weigh in below.